Cassy Arsenault reports from North Andover, where power is expected to remain out through Saturday. Merrimack Valley residents are still in disbelief as they wait in shelters instead of their homes following a series of natural gas explosions that set 60 to 80 homes ablaze. "It's unbelievable and I can't wait to figure out exactly what happened because something like this should have never happened," said resident Robert Penney. More than 8,000 people were forced out of their homes Thursday after the chaos ensued in Lawrence, Andover and North Andover. Although some families were allowed to return to their homes, many others stayed behind at area shelters. As the smell of smoke lingered in the air, people found ways to lift one another’s spirits. One resident, Mark Hammer, hit the streets on his bicycle. 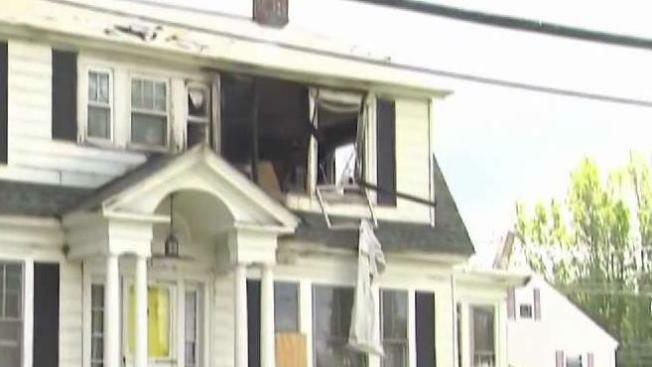 Thousands of people who were forced to evacuate their homes following a series of explosions and fires in the Merrimack Valley are wondering when they can return to their homes. "I just grabbed a box wrench and I heard there was like 500 houses that still had gas on so I thought if I could help, I would," he said. "But, it doesn’t seem like anybody was around or needed my services." 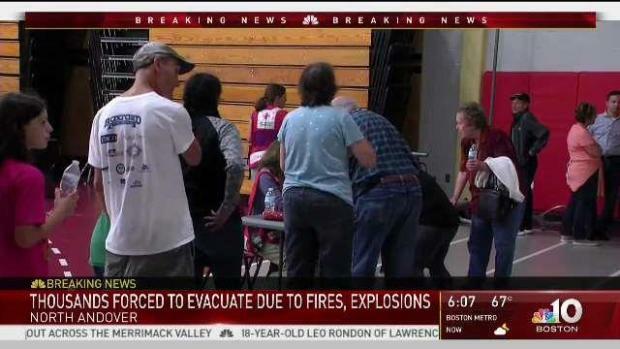 Shelters are available at the Parthum School at 255 East Haverhill St. in Lawrence, the Arlington Street School at 150 Arlington St. in Lawrence, the field house at North Andover High School at 430 Osgood St. and the Cormier Youth Center at 40 Whittier Court in Andover. Pet owners were told they could head to the North Andover High School gymnasium. Animal control officers had food, crates, bowls, and blankets ready for pets. The MSPCA's Nevins Farm in Methuen was also open for animals affected by the explosions. Anyone who needs non-emergency services like cooling centers, food, water, medication or transportation assistance should call 211, officials said.